The Jafuta Foundation is a non-profit organisation focused on helping humans and animals alike by creating and maintaining equilibrium between community, wildlife and conservation, education and culture. A catalyst for bringing together the private sector, local authorities, communities and protected area management agencies, the Foundation forms an integral point through which to channel funds or assistance to any agency or cause with 100% guaranteed transparency. There are no hidden costs for administration and expenditures. 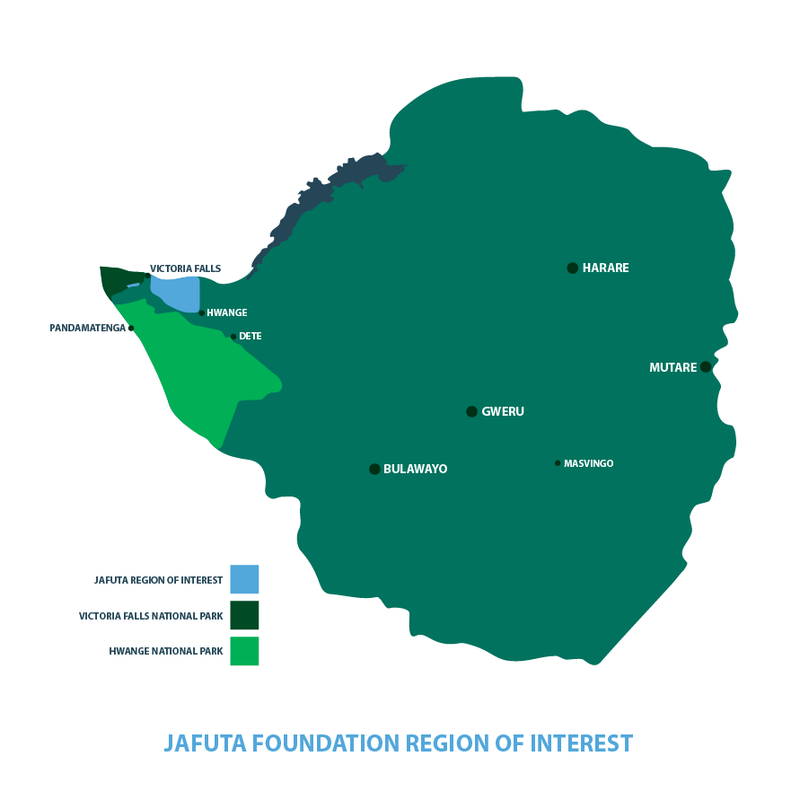 The Foundation is registered in Zimbabwe with the Jafuta Foundation Centre, located on the edge of the Zambezi National Park, forming the main administrative base from which most projects are run. The building also acts as a hub from which to interact with the public and to host workshops that benefit local communities and wildlife. Various other locations are dotted in and around Victoria Falls and the surrounding parks and forests, with the majority of the work being carried out in the Hwange West area and the southern section of the Victoria Falls National Park. Board of Directors: Benoit Fayd'Herbe, Mary Louise Albritton (USA), Malcolm Ainscough, Jabulani Ndubiwa, Alan Sparrow.